As a Citizen of the United States I urge you as the Chair of the Education and Workforce Committee to consider with all your colleagues to become aware of and consider being a co-sponsor of H.R. 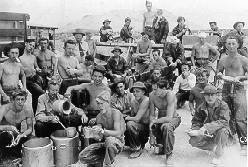 2206 - The 21st Century Civilian Conservation Corps (CCC) Act. Also a similar letter has been sent to the Ranking Member. H.R. 2206 - the 21st Century CCC Act, sponsored by Marcy Kaptur OH-9 would authorize the President to re-establish the Civilian Conservation Corps as a means of providing gainful employment to unemployed and underemployed citizens of the United States through the performance of useful public work, and for other purposes. The CCC demonstrated that there was absolutely no conflict between the preservation of the environment and the creation of jobs! The CCC is regarded as the most popular government program in U.S. History, and was the government’s most lasting environmental effort as well. This all public sector program will be a tangible investment in our Human and Natural Resource Capital. It would be non-partisan in scope as an alternative national service. In WW2, one out of six in uniform served in the CCC! The CCC program will annually give over 300,000 openings for young unskilled adult citizens, able bodied Veterans and our forgotten Native Americans and also provide professional career opportunities for supervisor staff, engineers and scientists. Other duties would include national defense and disaster relief. Please kindly send or email me a written response! Call the Capitol Switchboard (212) 224-3121 and patch through to a Key Committee or Subcommittee involved in reactivation of the CCC. Look and see if you have your policy maker on a key committee and make the committee aware of that fact. Voice your support for the reactivation of the United States Civilian Conservation Corps. Please use the same scripts over and over on the previous pages for the President and Congress. Your are contacting the real backbone of our government - the worker bees who create of our laws of the land. You are giving them a chance to bring back a real good program for our Nation's and the world's future. Be sure to thank them for their service. Thank you for using your right to petition to our government! Its chow time for a crowd of hungry young men.